I have a manilla folder in the top of my filing cabinet that says “Big Dream” – book on it. It’s been the folder I pulled out most often during this past year. It’s filled with notes that I took and online information I printed off. It also contains several copies of my book manuscript – covered with my hand written notes. with a new idea and a new book. One of the first things I did was hire a coach. I am a big believer in working with a someone who can help you navigate the path of your goal. 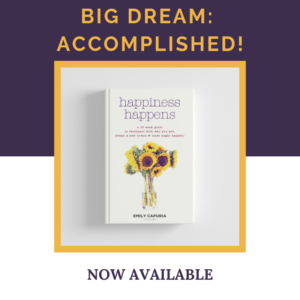 I don’t know that I would’ve gotten this book completed – ever, let alone within a year, without the guidance, support and accountability that she provided. 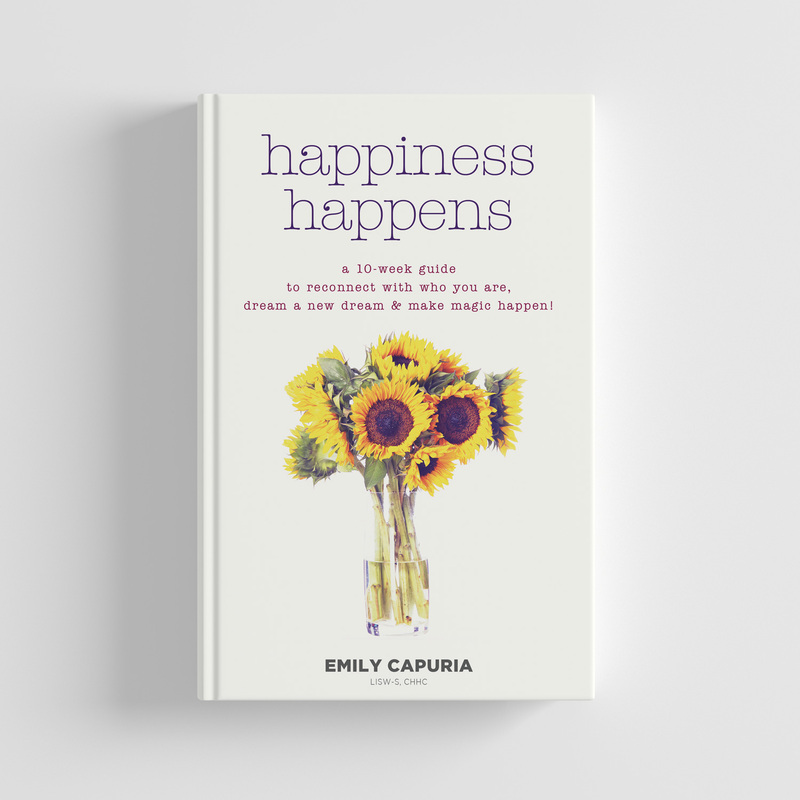 If you’d like to hear more about my book writing journey – be sure to RSVP for the Happiness Happens Facebook Live Watch Party on Tuesday, March 26th at 12 PM. Click here to RSVP. 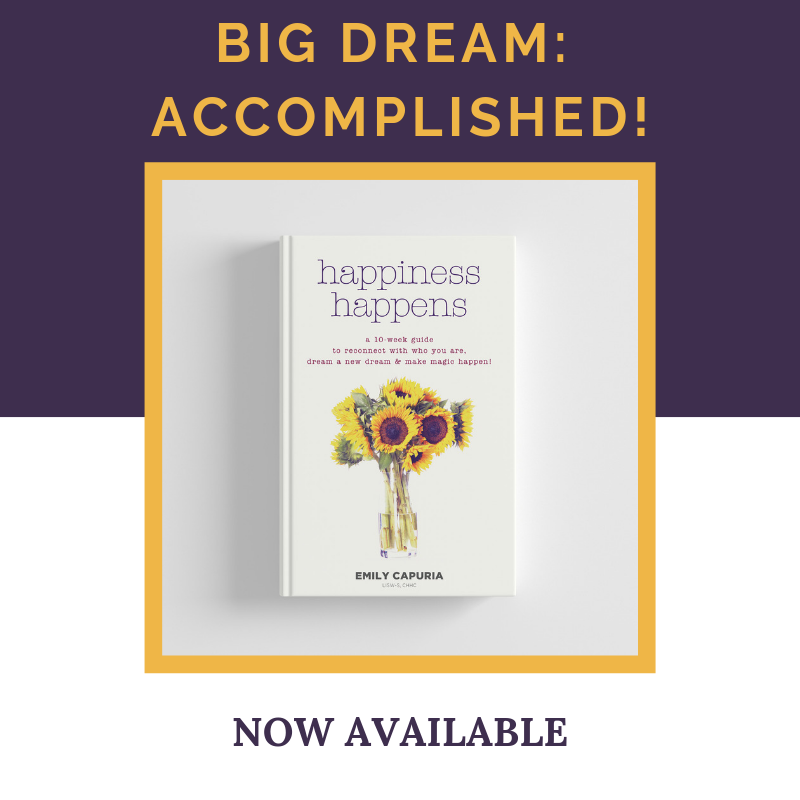 Happiness Happens is NOW AVAILABLE!!! I’m so excited to finally be able to say that. Get your copy today online through Barnes & Noble, Amazon, Books-A-Million or Indie Bound! See you all on Facebook Live!! !